Request Quote – Electronic Circuit Design, PCB Design, Circuit Board Design & Electronics Manufacturing. Let TronicsZone’s highly skilled and dedicated team help you deliver your next Electronic Circuit Designs & Circuit Boards with ease & without hassles. Outsource confidently for Cost-effective & Affordable services. We can help you save costs & get to market faster! TronicsZone is a highly regarded & sought-after design company. We cover a diverse area of electronic circuit design service including Consumer, Industrial, Scientific, Medical, Automotive, IoT etc. 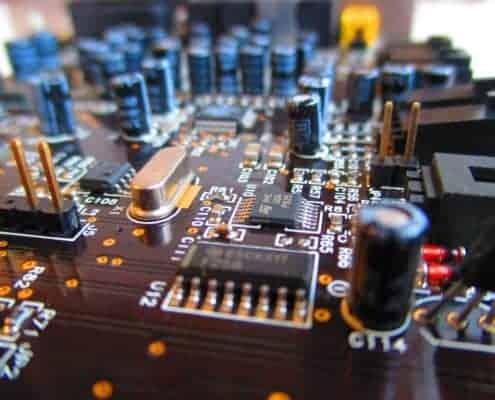 We design all types of Electronic Circuits, PCB, Embedded Systems, IoT sensors, IoT hardware & Electronic circuit boards including Firmware & Software Development according to custom specifications at affordable costs while maintaining highest possible quality. We undertake design projects from large industries as well as small businesses & startups. TronicsZone can help you build your next Circuit board design.